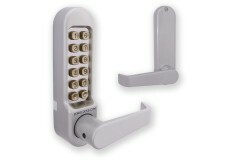 Combination door locks don't need an electronic supply, making them an ideal installation on an outside gate or in areas of a building where it would be difficult to get a power supply to a door. 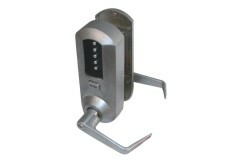 They are an ideal choice for situations where you need to have a degree of access control, but don't require a complete electronic access control system and audit trail capability. 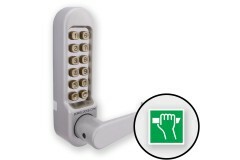 Furthermore these combination door locks have a degree of weather resistance so will stand up to being used in external locations such as on garden or workshop gates. 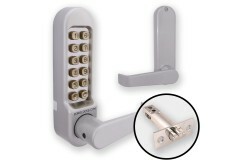 This BS3621-equivalent combination lock offers immensely high security features, having achieved the.. 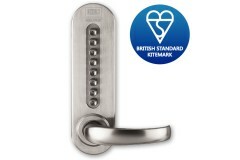 The BL5000 uses the easy-grip return-to-door style handles which are suitable for use in DDA applica.. The BL-5001 is the latching model, which comes as a kit complete with a suitable tubular latch in ei.. 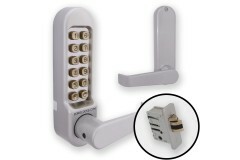 Ideal for aluminium doors and glass paned doors, the BL-5002 Borg Combination Lock comes as a kit wi.. 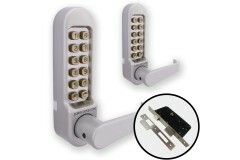 Ideal for settings where combination code entry is required during the day, but during certain time .. 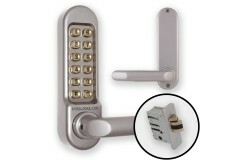 This model offers full deadlocking of the door to prevent entry without a key overnight etc, whilst .. 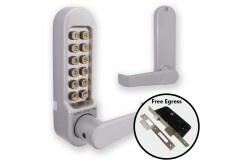 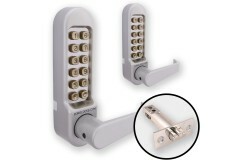 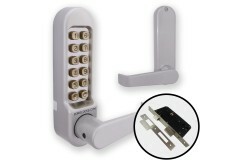 The Borg 5008 is supplied with an adaptor to work with panic hardware such as push-to-exit bars and .. 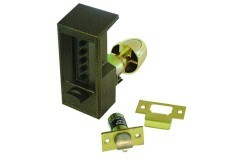 This is the mortice nightlatch version of the Borg 5000 series. It is often the preferred opti.. 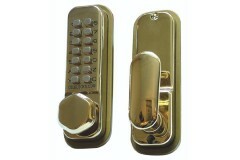 The BL5051 offers a keypad on both sides rather than just on one side, meaning you must enter a code.. 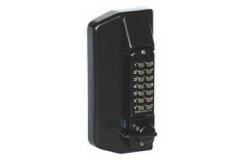 The BL5053 is a keypad both sides combination lock, which requires you to enter a code to enter or e.. 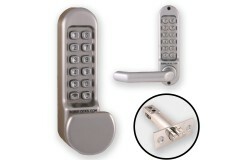 The Borg 5101 incorporates a different type of handle setup, with a flat knob on the keypad side, an.. 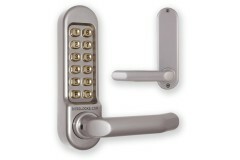 The BL5103 uses the same handle setup as the 5101; with the flat knob on the keypad side, and a stan.. 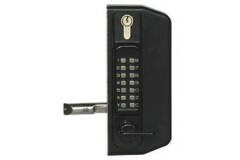 This back-to-back combination keypad kit comes supplied with a deadlocking tubular latch in 60mm or ..
With code-restricted operation from both sides of the door, this back-to-back combination lock with .. 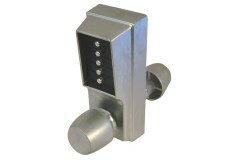 The BL5400 is part of the Borg 5000 series of heavy duty combination door locks. 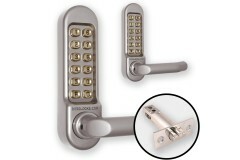 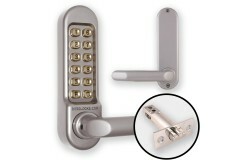 It utilises t..
Part of the Borg 5000 series, the BL5401 comes with a deadlocking tubular latch, operated by flat-ba.. 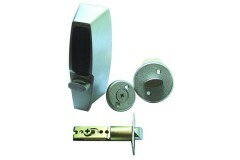 This Narrow Latch combination lock kit from Borg is ideal for Aluminium doors and other narrow-stile.. The BL5403 is a combination code entry kit supplied with a euro sashlock case suitable for use with .. The BL5404 kit comes supplied with an escape style euro lock case, designed to facilitate free escap.. 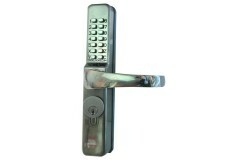 The Borg 5408 is designed to work as an outside access device for doors with panic hardware such as ..
With a keypad on both sides rather than just on one side, the BL5451 requires you to enter a code to.. 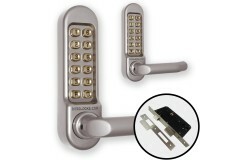 If you want to control access from both sides of the door to restrict access in or out, a back-to-ba..
Codelock 255 Mortice Latch with Hold Open Push button mechanical locks, ideal for restricting access.. Combining two Marine Grade keypads (Back to Back), with a special lockcase with anti-ligature feat..
Simplex Unican 7104 has a deadlocking latch operation. 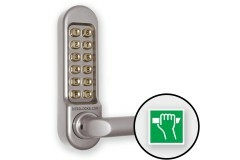 Please note this is a dead locking Latch, and.. 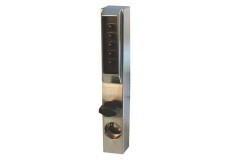 The CL0460 Narrow Stile Codelock Push Button Lockis ideal for use on aluminium doors in sports centr..
Standard Kaba Simplex 1011, offers Mechanical retraction of latch upon entry of correct sequence of ..
Standard Model Simplex L1011. 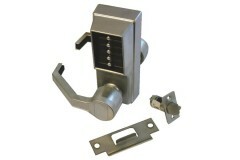 The Simplex L1000 Series lock provides fully mechanical pushbutton acc..
Simplex Unican 3000 Series lock provides fully mechanical pushbutton access control for narrow stile..
Simplex 5000 Combination Entry with Key Override and Exterior Combination Change. No wiring, keycard..
Simplex 6200 Series primary lock provides fully mechanical pushbutton access control with no electri..